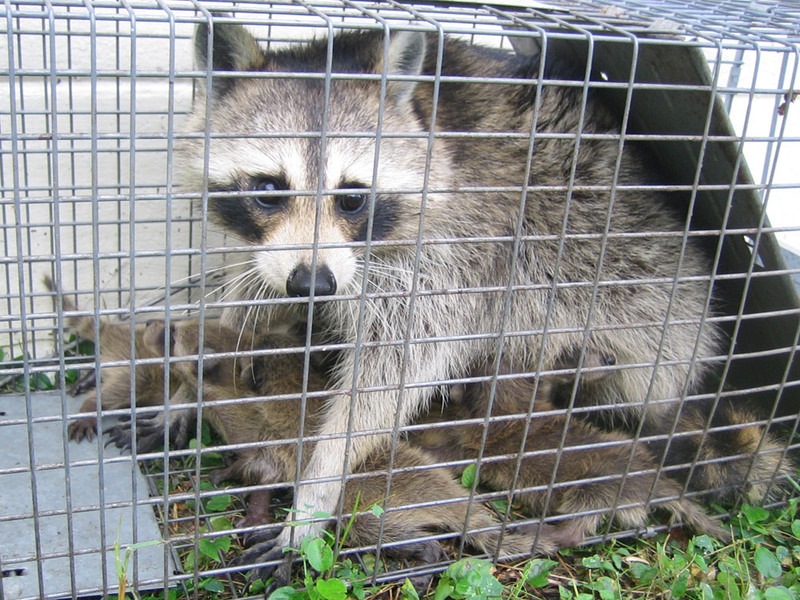 We specialize in the removal of nuisance raccoons from property, homes and buildings in the Cincinnati area. We offer a wide variety of services from attic inspections to damage repairs, and can resolve any human-wildlife conflict. We are fully licensed and insured in the state of Ohio, owner-operated, and fully proficient and equipped to handle any critter problem, start to finish. Please give us a call at any time and we will listen to your raccoon problem, explain your options and our pricing, and we will schedule an appointment. Get raccoon out of attic - No one likes sharing their home with an unwelcomed guest, and that goes for family and nuisance animals alike. Unlike the family member who crashes on your couch, you don’t have to put up with a pest animal living in your attic. A racoon can be pretty destructive, and that’s why you never want to wait too long before you take action. Some people hear strange noises and are afraid to go investigate, leaving the issue for days or weeks before they find out what is going on. You do have good cause to be afraid of a raccoon. While not overly aggressive, they often carry rabies. If you’re going into the attic to investigate, make sure you do so with proper clothing and protective gear. Once you’ve verified the intruder is a raccoon you’ll be able to formulate a plan. Some states such as Ohio require special license for trapping raccoons. Make sure you’re operating in the confines of the law. If you’re not, you should locate a wildlife professional to handle the situation. Honestly, trapping and removing the adult plus all the babies might not be something an amateur should attempt. Many complications can arise, and a professional will know how to handle them. How to catch raccoons in attic - There are a million ways to catch a raccoon in your attic. If you look on the Internet, everyone and their brother has some “fool proof” method of how to be rid of nuisance critters for good. The only people who really know the best way to handle a raccoon are those who are trained to handle raccoons. These wildlife professionals will be able to rid you home of the pest without creating any harm to the critter or any babies inside the attic. This is the most important thing to remember: Most raccoons in attics are females with young. One way to eliminate the adult is to remove the babies while she is away from the nest. You can place the babies in a cage trap and place it near the mother’s route of travel outside. The majority of the time, she’ll enter the cage to check on her litter. It’s not always possible to remove the babies from the attic. Sometimes the mother will stay if she feels her young are being threatened. This is a potentially dangerous situation. You need to be prepared for the mother raccoon to hold her ground. A professional from our animal trapping company in Cincinnati will be able to snare her with a pole snare and place her in a cage for transport. We operate a professional raccoon removal company operating in the Cincinnati area, including the towns of Covedale, Delhi Hills, Norwood, Maderia, Kenwood, Montgomery, Loveland, Sharonville, Springdale, Forest Park, Northbrook, Groesbeck, Brentwood, Mount Healthy, Finneytown, and more, plus Northern Kentucky, including Covington, Newport, and more. We specialize in the humane removal of raccoons from buildings and property. We are fully licensed and insured, and operate 24 hours a day, 7 days a week. Call us at 513-906-4260.